I’m very excited to announce the (re)release of Collider! 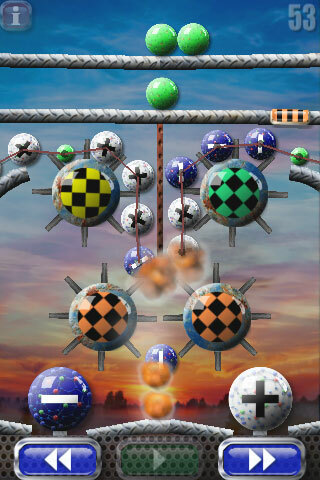 Collider is a physics-based puzzle game that I originally released in 2009, but sold to another company in 2010. Recently, I purchased the game back and am very happy that it’s now back in my portfolio. Collider is available for iPhone and iPad in the iTunes App Store! The goal of collider is to place the positive, negative and neutral particle balls from your tray onto the screen and make all positive and negative balls collide and vaporize. You must navigate an array of pipes, gears, platforms, gates, sensors and other obstacles to achieve your goal. 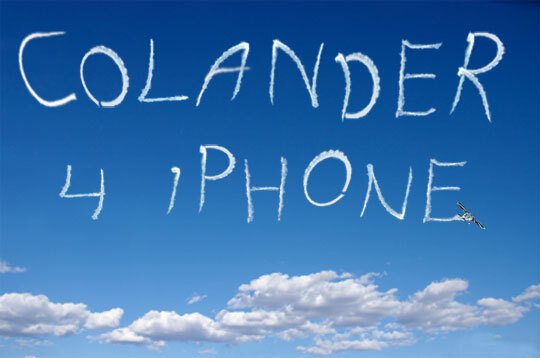 Chicago, IL – In a desperate effort to promote his upcoming physics-based iPhone game, Collider, game designer Dan Russell-Pinson launched a risky and expensive promotional campaign involving skywriting the name of his game over the skies of Chicago. It was a beautiful, crisp day and all signs were “Go” for takeoff. As a crowd in downtown Chicago slowly assembled to see what the commotion was all about, it became clear that something was terribly wrong. Apparently, there was miscommunication between Russell-Pinson and the pilot of the skywriting plane. The message, which was supposed to read “Collider for iPhone”, ended up coming out as “Colander 4 iPhone”. This put the clearly distressed game designer in the unfortunate position of being thousands of dollars in the hole before the game has even been released. Russell-Pinson was not available for comment. 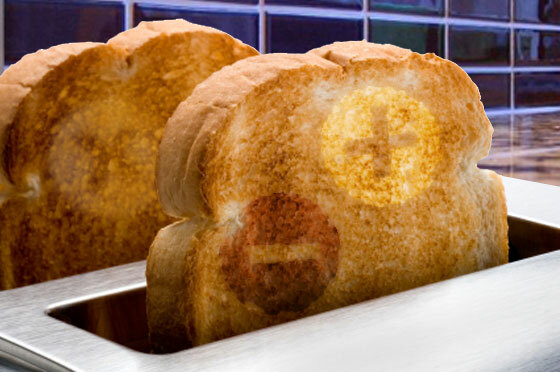 Charlotte, North Carolina – Game developer Dan Russell-Pinson resorts to begging iPhone game reviewers to give him publicity, defacing famous works of art and making juvenile jokes about balls in order to promote his new physics-based iPhone game called Collider, due to be released by the end of January, 2010. “It’s pretty sad” says a close friend who didn’t want to use his real name. “He used to have so much self-respect and confidence, but the drive to push Collider into the Top 100 of the Apple AppStore has made him… regress”. His slide into immaturity was evidenced when he released a promotional video for Collider (see link below) which depicts well-known works of art shamelessly defaced to include the positive and negative particle balls from the game. As if that wasn’t enough, Russell-Pinson is also using the tagline “Do you have the balls?” as part of the promotion. To make matters words, the game designer has also been witnessed practically groveling to any and all iPhone game reviewers who will listen to him in a desperate attempt to gain pre-release publicity for Collider. Concerned friends and family, currently planning an intervention, released this statement to all members of the media: “We’re simply asking that all iPhone game reviewers please just give Collider a little attention, maybe a small blog post, something… anything!”. 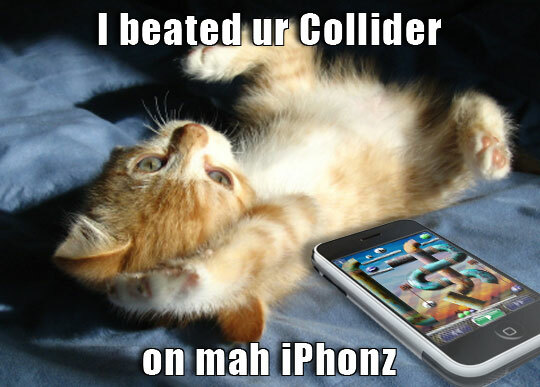 When asked what could happen if Collider isn’t successful, they said “I don’t know… He might do something desperate like make a sequel to Furballs or worse, create more videos…”. Collider is an addictive, physics-based iPhone game featuring 56 intricate levels of play and dynamically generated music. The goal is to destroy all of the positive and negative particle balls on the screen by making them collide together. An auto-save feature automatically saves your progress so you can suspend the game and continue playing where you left off at a later time. Dan Russell-Pinson has been independently creating online flash games since 2007. His best known titles are Tipping Point, Block Drop and Collider which can be seen on hundreds of web sites across the Internet. In 2009, Dan moved into the iPhone arena with a port of his popular game Block Drop followed by his second title Furballs! and is currently promoting his third iPhone game Collider. Copyright (C) 2010 Dan Russell-Pinson. All Rights Reserved. Apple, the Apple logo, iPhone and iPod are registered trademarks of Apple Inc. in the U.S. and/or other countries.